I'd like to say a big thank you to Paula Hillman, and to everyone I met at Greengate Juniors, for giving me such a warm welcome when I visited Barrow-in-Furness last week! And thanks to Steve Hillman for taking these fantastic photos, and making the visit possible by driving me all the way from Lancaster! 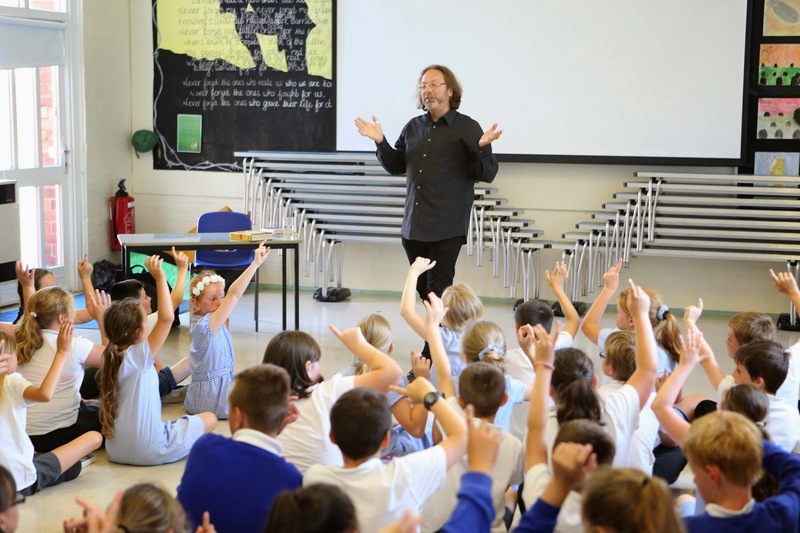 This was an unusual visit for me, because it was organised through Twitter, where I post as @whatSFSaid. I'd been reading amazing tweets from @GreengateJ describing all the fantastic work that Year 6 had been doing with Varjak Paw – so when Paula invited me to visit and see for myself, I couldn't say no! 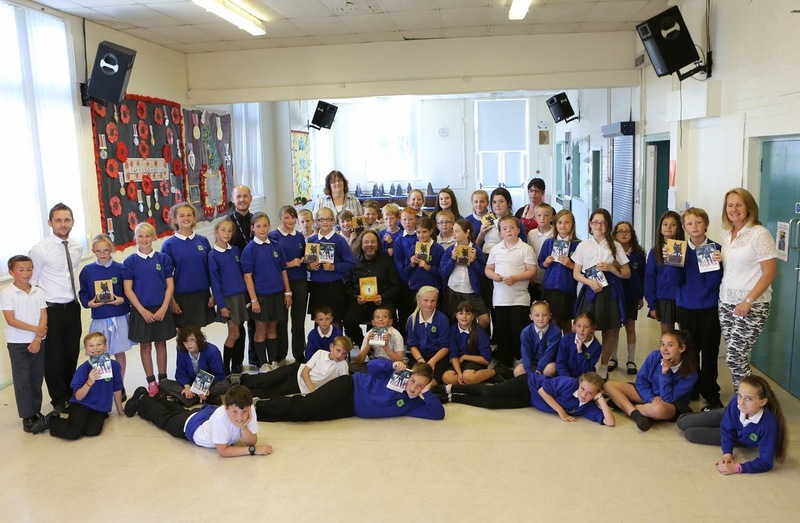 It was wonderful to see all the enthusiasm for books and reading in Year 6 – and also Year 4 from Barrow Island Primary School, who joined the visit too, along with their teacher Mrs McVea-Roberts! 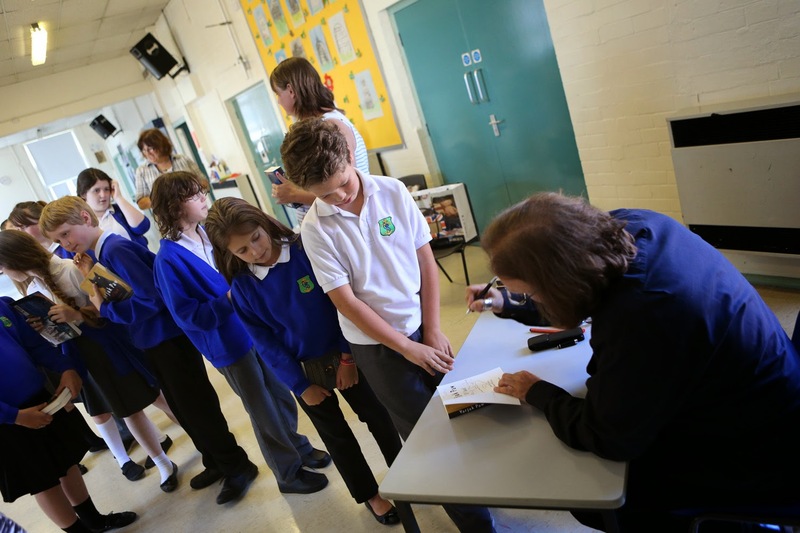 It was a real pleasure to sign books for everyone at the end. Thank you all for your brilliant questions and stories – and keep the Way alive! And for more photos & information – see this lovely blog about the visit!